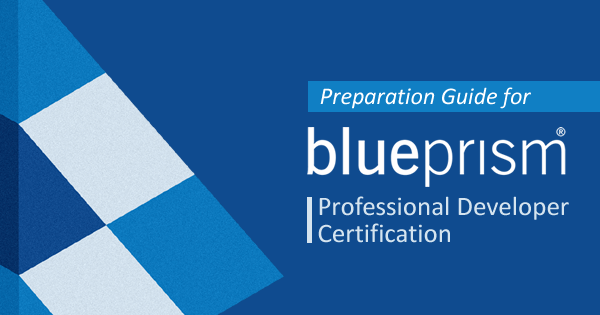 Blog Blue Prism How to Prepare for Blue Prism Professional Developer Certification? 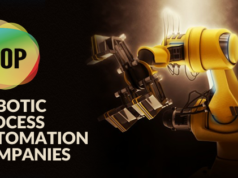 The realm of Robotic Process Automation (RPA) has invaded by certain innovative companies over the past few years. These companies are fully aware of how depending on such technology can bring drastic changes in business processes and services. 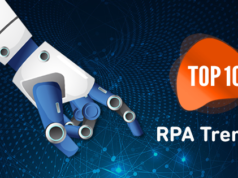 The quick escalation of the demand in RPA tools is highly beneficial for job aspirants as well. Blue Prism is such a tool that has shown its potential as a great RPA tool in recent years. If you want to shift your career towards becoming an RPA developer, Blue Prism can be the right choice for you. We can provide you with the best blue prism professional developer certification preparation guide if you seriously desire to become a blue prism certified developer. All you need is a little bit of dedication and confidence to take the certification exam. Then, let’s move into the details of the exam without wasting any more time. Actually, there is no reason for confusion here. These are two different exams from the same parent: one is for Blue Prism Developer (Exam code: AD01) and the other one for Blue Prism Professional Developer (Exam code: APD01). Here, APD01 exam is the advanced level exam in Blue Prism Accreditation program. You need to pass the AD01 exam before starting your blue prism professional developer certification preparation. According to the guidelines from Blue Prism portal, you must have passed the Blue Prism Developer exam (AD01) at least 6 months before you try the blue prism professional developer exam. For both of these exams, you need to wait at least a month for retaking a failed exam. Haven’t passed the Blue Prism Developer certification exam yet? Follow this Blue Prism Developer preparation guide and get ready to take the next step. Why Should I take APD01 exam despite having a certification in AD01? As you know, Blue Prism Professional Developer Certification (APD01) is the advanced level exam in Blue Prism Developer Ladder. For this reason, upgrading to a professional certification have more value than getting a general certification. Moreover, it can directly impact the salary of certified job aspirants. For example, a job aspirant who has a certification in AD01 may receive an annual salary starting from $70K. But, in the case of a professional Blue Prism Developer (one who passed in APD01), he/she can expect a salary ranging from $90K. At the higher end, these salaries can exceed even more than $120K. This highlights the real value of a proper blue prism professional developer certification preparation for the job aspirants. Blue Prism Professional developer exam has the exam code APD01. There will be 50 multiple choice questions in the exam that carry equal weight. You have a total of 60 minutes of time to take the exam. The questions will be randomly selected from a pool of questions when you start your exam. If you are from a non-English speaking country, you’ll get an additional 30 minutes to complete the exam. In order to pass, you must have scored at least 70% marks in the exam. If you can score 80%, you’ll pass with merit and if you score 90% marks, you’ll get the distinction. The examination is fee is only $65. To become a Blue Prism accredited professional developer, you need to get a precise understanding of the different topics described below. These topics are accessible from Learning-> Guides section in Blue Prism portal. Anyhow, your Blue Prism Professional Developer Certification Preparation won’t be complete unless you comprehend the key concepts in various Blue Prism related data sheets and user guides to apply in the exam. You can access these data sheets under the Documents section in Blue Prism portal. Below, you can see the list of data sheets and user guides available in that section. It’s not so easy to go through the Blue Prism Professional Developer certification preparation. So, here are the key steps that can help you in your Blue Prism Professional Developer Certification Preparation. Just follow these preparation steps and choose the right material, and you will be all ready for the exam. Note: You must have already performed these steps as part of your Blue Prism Developer exam preparation. So, you can directly move to step 2 skipping the first one. This process is pretty simple. Just go to the portal.blueprism.com and create a free account using your valid information. Once you have registered yourself, you’ll be redirected to their home page where you have to choose the “Accreditation” option from the Learning tab. All the blue prism certified developer exams will be listed there. On clicking here, you’ll see a pdf page that contains all the basic Blue Prism professional developer study materials. This page contains details such as exam details, the scope of the exam, exam modules, eligibility criteria and many other things which are sufficient to constitute a reliable preparation guide for blue prism professional developer exam. If you need additional information on Blue Prism exam, you can check “Guides” section in the Learning tab of Blue Prism portal. 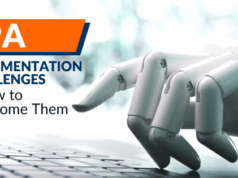 Here, you can find a few other Blue Prism Professional Developer Certification Preparation materials in PDF format along with the guides for other Blue Prism exams as well. If you are not convinced with the Blue Prism professional developer study materials you’ve got, you can opt for the official LMS (Learning management system) from Blue Prism Learning tab. This contains a series of surveys and tests to support your accreditation path. It is always good to find additional training options for Blue Prism along with an authentic preparation guide for blue prism professional developer exam. Blue Prism official forum is one of those options. Here, you can find various threads regarding different Blue Prim exams. For example, consider that you’ve some doubts regarding your Blue Prism Professional Developer Certification Preparation, exam schedule, or whatever related to this – you can share your queries in the corresponding thread. There will be certified experts who can able to resolve your doubts in this forum. You can also submit your query in Whizlabs Forum to get your queries answered by the Subject Matter Experts and Certified Professionals. Taking free practice tests can make a huge impact on your Blue Prism Professional Developer Certification Preparation. We, at Whizlabs, can provide you both free and premium practice tests that can be taken online. You will get around 10 sample questions for Blue Prism Professional Developer free test and 100 questions for full-length Blue Prism Professional Developer practice tests. For both these exams, you will get your immediate exam results. Pearson VUE is the official exam partner for Blue Prism exams. You have to register for your blue prism professional developer exam in Pearson VUE portal. The link to this portal is available on the Accreditation section in the Blue Prism portal itself. Just click on this link and you’ll be redirected to Blue Prism Accreditation page on Pearson VUE portal. There, you need to create a free account using your Blue Prism portal ID (the user name you choose when you register your Blue Prism account). Once you create your account, the exam catalog will be displayed where you can see the listing of the applicable Blue Prism exams that you can try. In order to get the links for Blue Prism Certified Professional Developer (APD01) exam in this page, you should have already passed the Blue Prism Accredited Developer Exam (AD01) at least 6 months before. If the link to APD01 is available, just click it. In the next page, you’ll see an option to choose your language. Probably, you’d have English, Spanish and Japanese options to choose from. In the next page, you can choose the location of your exam in your intended place. Just type your intended location on the search box first. If available, all the test centers near to that location will be displayed. Here, you can choose up to 3 locations to compare availability. In the next page, you can see all the available appointments on the exam for each of these 3 locations. Choose the date and time and confirm the location according to your convenience. Finally, pay the exam fee using your valid credit/debit card. Your exam will be scheduled instantly. Confused while understanding the Blue Prism Certifications? Here is a detailed overview of the all the Blue Prism Certifications. It won’t be difficult for you to pass a Blue Prism Certified Professional Developer exam (APD01) if you have already passed the Blue Prism Developer exam (AD01). Anyway, the likelihood of passing the exam greatly depends on how effectively you plan your Blue Prism Professional Developer Certification Preparation. Now, you have the access to all the sufficient resources required for this exam. So, you just have to use your time well to perform the best Blue Prism Professional Developer Certification Preparation as you can and take the exam as early as possible. To help you become a certified Blue Prism Developer, we provide Blue Prism Developer certification practice tests as well as Blue Prism Professional Developer certification practice tests. Join us now to become a Certified Blue Prism Developer.